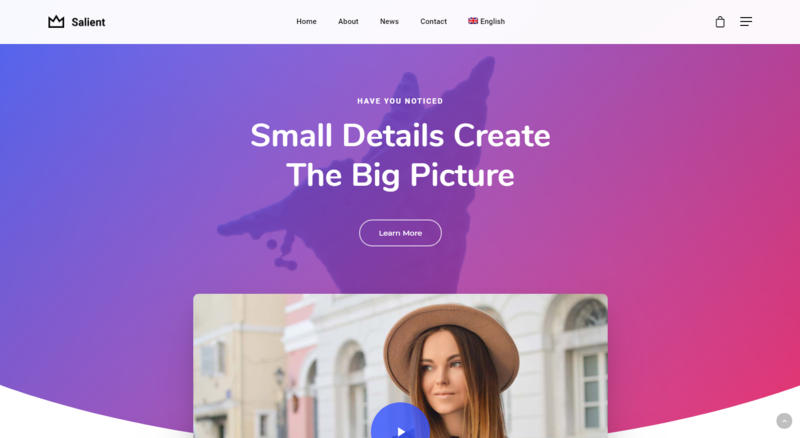 Salient is a multipurpose WordPress theme that is suited for numerous applications. It possesses several pre-built demos and an easy-to-use page builder. It also helps in facilitating the customization process by providing a useful theme options panel. In this tutorial, users can learn how to build multilingual websites using the Salient theme and WPML. Make sure that the Salient theme is activated, by going to the Appearance -> Themes page. Furthermore, ensure that the WPML Multilingual CMS, WPML String Translation, WPML Translation Management, and WPML Media Translation plugins are activated. With WPML, you can translate any types of contents in your site, including pages and posts. For instructions and guidelines, please read our Getting Started Guide. The Salient theme comes bundled with WP Bakery Page Builder. Please visit our documentation page for step-by-step instructions on how to translate contents built with WPBakery Page Builder. Select the option Translatable – use translation if available or fallback to original language for the chosen post types. To translate Portfolio items or any custom post type items, you need to follow the same steps as for translating any other types of pages. 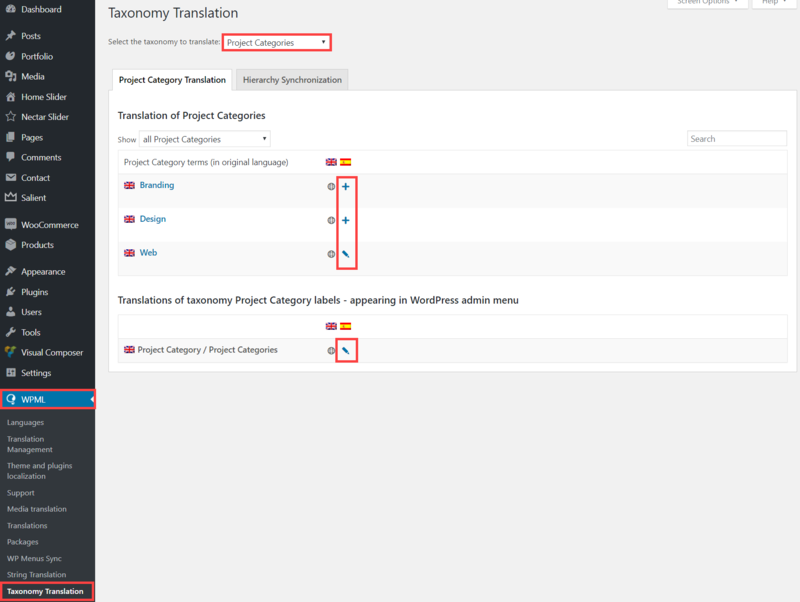 Visit the documentation page for step-by-step instructions on translating the contents yourself. Select the Project Categories from the drop-down menu and a list of categories will appear. Click the plus icon for translating a category of the respective language and use the dialog box that appears for adding the translation. Please note that the translations of categories are universal: done changes will be updated everywhere. With WPML, language menus can be easily synchronized. For further information, please see our complete menus translation tutorial. Navigate to the slide editing screen and click on the “+” icon. This will take you to the Translation Editor. Add the translated text, choose the Translation is complete option for each field, and then click on Save & Close. Use the Copy from original option while translating the Slider Locations. To translate the slider page, click on the plus icon. Translate the textual elements on the page and save the changes. The following figure illustrates how the translated slider looks like on the front-end. Our Contractors are experienced WordPress and WPML developers who are proficient in building multilingual sites using Newspaper theme and WPML. They would be glad to address any problems that users might face – starting from building complete sites to developing customized components. You can search for our contractors according to their specialty, project size, website category, and different languages spoken by the contractors. Please feel free to contact the contractors directly for getting a cost estimate. We have supporters in our forum who are ready six days a week to help you. They are trained in how to use WPML with Salient.